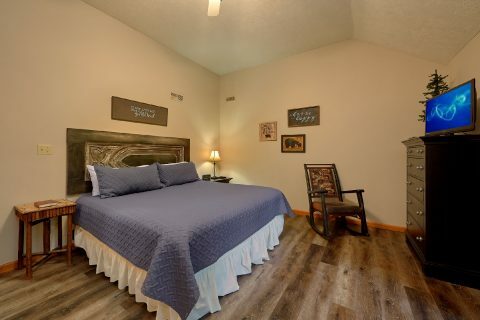 Experience "Foxes Den," a cabin in Brookstone Village Resort that helps you discover the beauty and enjoyment of the Smokies! 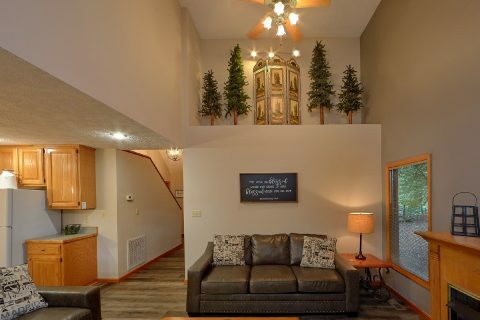 This comfortable, 2-bedroom cabin offers pool access, amenities to make you feel right at home, and a convenient location next to attractions, shows, and more! 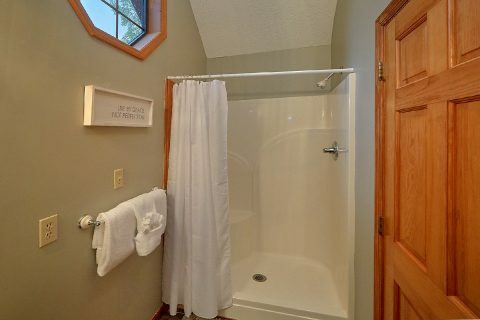 "Foxes Den" cabin accommodates 4 guests and offers summertime swimming pool access. 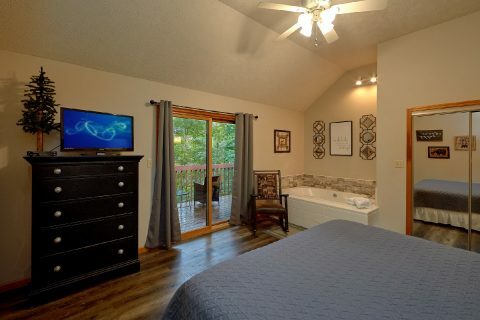 The master suite features a king size bed, romantic in-room jacuzzi, flat screen television, and private balcony for enjoying the mountain air. 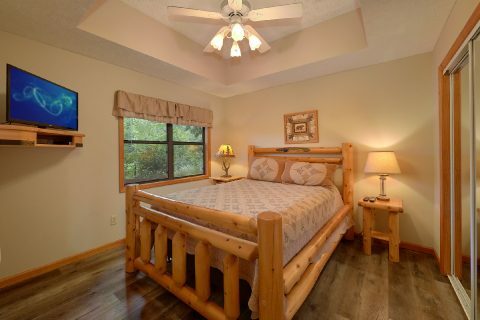 The second bedroom boasts a queen log bed and flat panel television. 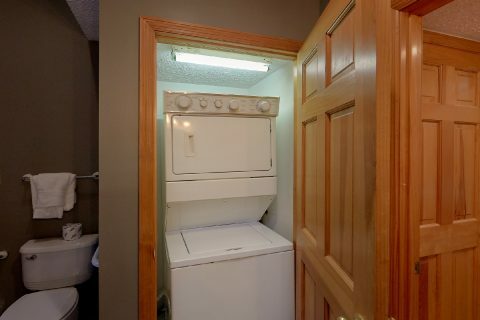 The ramp access up to the front porch allows elderly members of the family or those in a wheelchair easy access to this cabin. 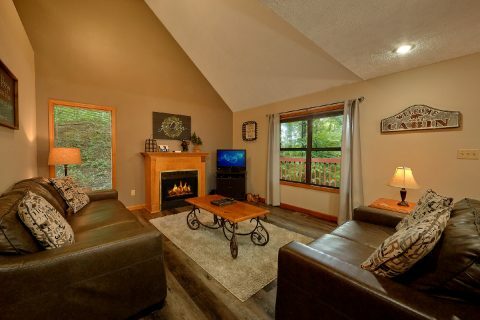 Your cabin in Brookstone Village Resort's comfortable living area provides a gas log fireplace that lights the room with a warm glow in the winter. 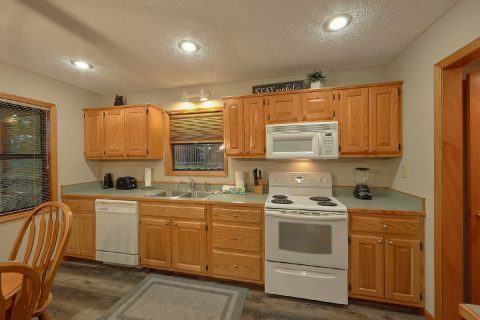 Guests are able to enjoy day or night relaxation on the back screened-in porch with an outdoor table and chairs. 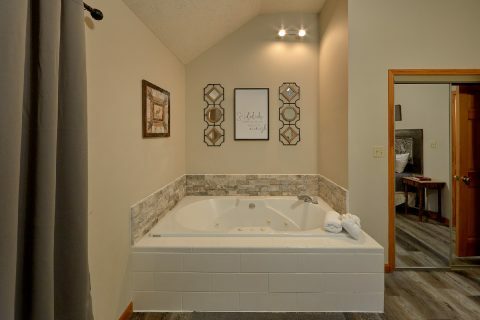 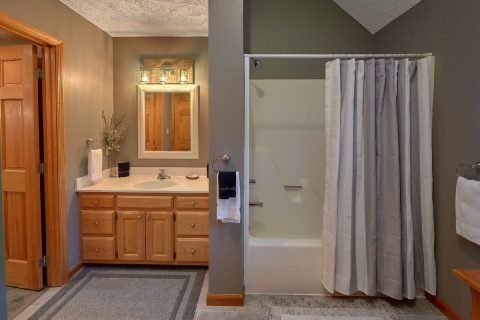 Just off from the screened porch is the cabin's hot tub that offers the ultimate in relaxation. 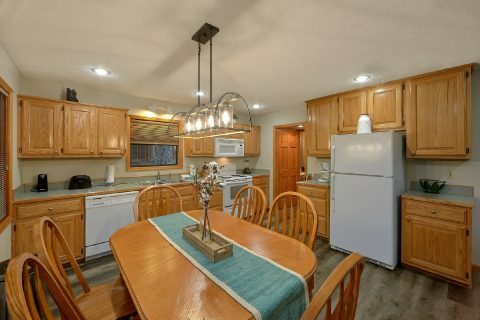 Take pleasure in having private meals prepared in your cabin's spacious kitchen with plenty of cabinets and counter space or on the gas grill. 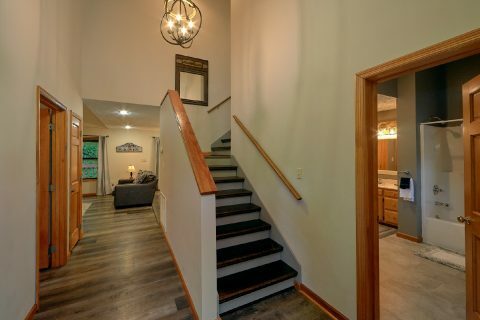 As another day in the Smoky Mountains comes to an end, don't forget to take advantage of your cabin's free WiFi Internet to share photos and stories of your day in the Smokies with folks back home. 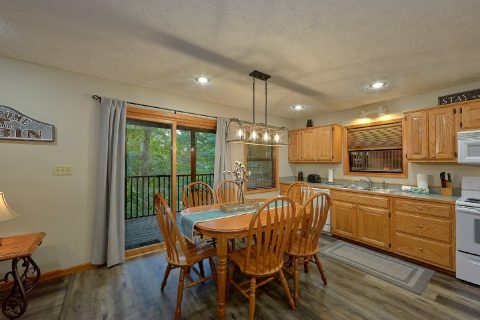 Book this cabin resort near Gatlinburg rental with pool access and start planning your memorable vacation! 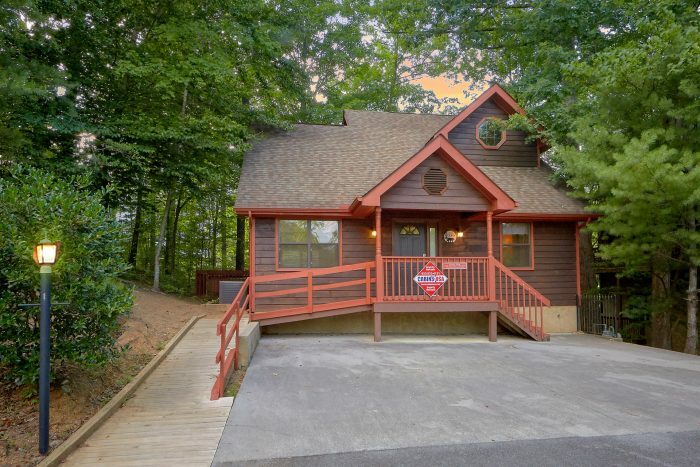 When you book your Brookstone Village Resort cabin online with Cabins USA Gatlinburg, you'll SAVE with your immediate Online Special!